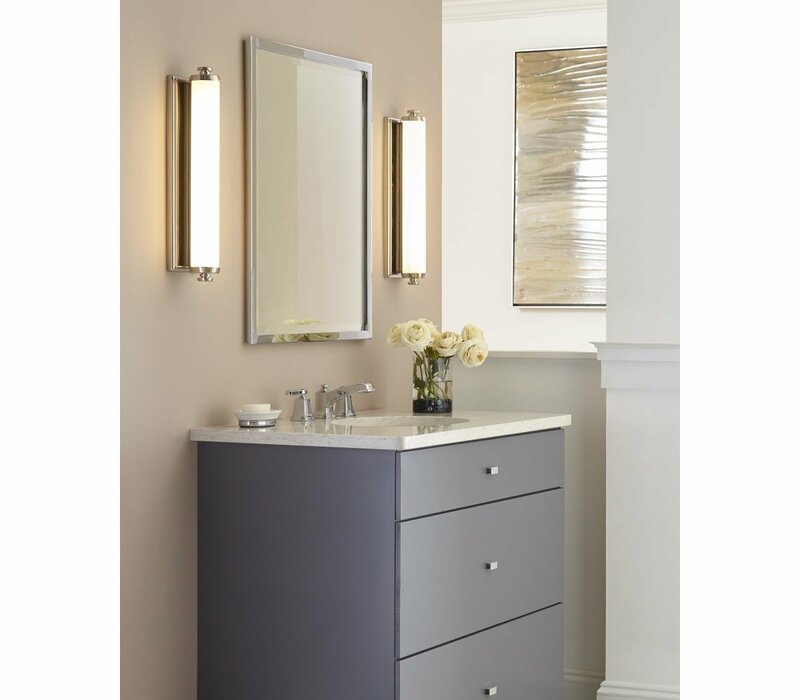 The Feiss Edgebrook light wall sconce in satin nickel offers shadow-free lighting in your powder room, spa, or master bath room. With integrated LED, the Edgebrook lighting collection of modern bath bars by Feiss delivers both energy efficiency and clean, classic beauty. 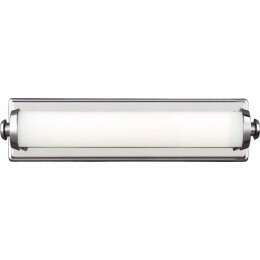 The cylindrical linear glass shade is complemented by a rectangular backplate. LEDs warmly glow through Opal Etched glass to provide soft task light. Cleverly hidden hardware ensures the clean lines. Ideal for residential and commercial settings because it's energy efficient, ADA compliant and can be installed vertically or horizontally. 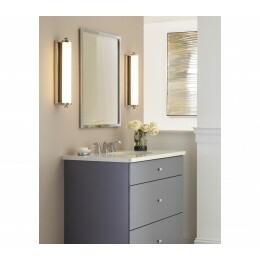 The assortment includes 15" and 18" - LED wall sconces, as well as a 30" - LED bath vanity which are all available in Oil Rubbed Bronze, Polished Nickel or Satin Nickel. 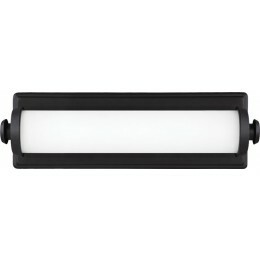 The Murray Feiss WB1749SN Edgebrook collection Sconce Wall Lighting in Satin Nickel uses LED light output and brings Antique style. This item is 4.75"H x 15"W x 4"D. The voltage is 120 volts. The Murray Feiss WB1749SN requires 1 bulb (included). Additional Information: Shade-Opal Etched Glass.